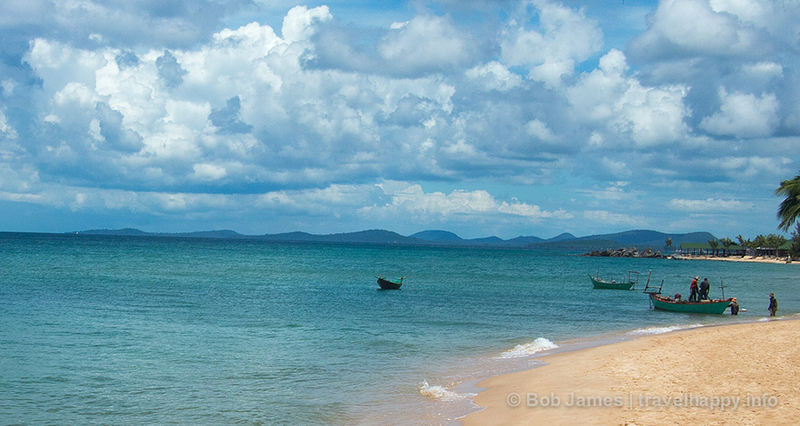 If you believe the locals, this is the calm before the storm in Phu Quoc. Within two years, a new international airport will open, bringing droves of new tourists to Vietnam’s most southwestern province, changing the idyllic island forever. While the exact date of the apocalypse is disputed – officials have been postponing the airport’s completion date for years – it will happen, sooner or later. Reports say new airlines including Korean Air and Air Asia already have committed to serving the facility. For those looking to escape to a remote paradise of deserted, white-sand beaches and cozy waterfront resorts, the time is now. While there are a few tours to take and sights to see, Phu Quoc’s real charm lies is what isn’t there. Chief among those things missing are crowds. Especially on the island’s eastern shore, beaches are virtually empty, leaving you nothing but a comfy lounge chair, brilliant sunsets and gently rolling waves to enjoy. Many tourists, in fact, do nothing but pad their way from the pristine sand to their hotel bar and back again, often extending their stay days (or weeks) beyond what they originally intended. This is “Thu giãn,” or “relaxation” at its finest. Most of the inaction on the island happens in Phu Quoc beachside resorts that that offer rooms, hotels and tour agents all in one place. Fortunately, prices don’t necessarily follow the common idea of a “resort.” You can get $18 rooms at some places and eating at the hotel restaurant alongside people paying $130 per night. The value also extends to many of the in-house restaurants which, of course, all specialize in fresh seafood. Travelers wary of paying captive-audience prices will find that venturing into town isn’t much, if any, cheaper than their hotel eatery and the food, in many cases, not as good. 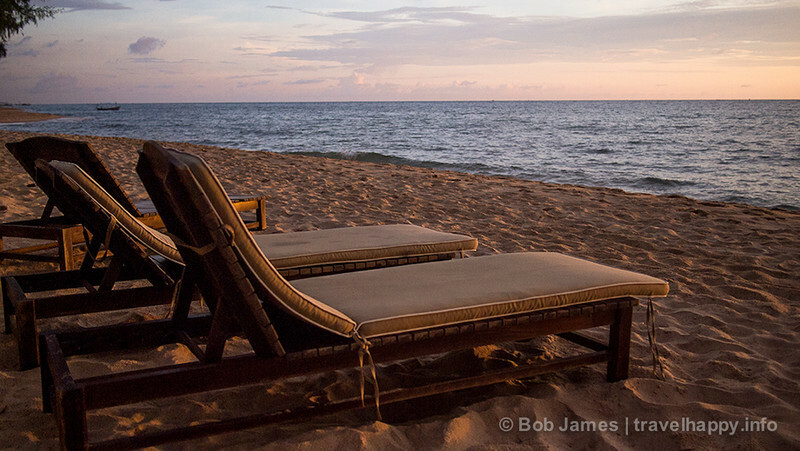 On Phu Quoc’s eastern side, the Pacific Ocean breaks on lovely white-sand beaches. Bãi Sao (Star Beach) is tops among these with its transparent-glass water and beachside restaurants. An Thoi on the far southern tip of the island takes a while to get to, but will leave you feeling like Tom Hanks in Cast Away. Gan Dau and Tom beaches are now open to the public after years of being restricted and protected by the military. Finally, on the west coast, Ong Lang and Xep beaches offer white-sand pleasures on the west coast, just north of the current small airport. For those not content to while away the hours on the sand, there are a few things to see and do. The easiest way is to organize a half- or full-day tour, either on motorbike or air-conditioned car. The bike will be cheaper, at $15 for a half-day, but Phu Quoc’s sun can be brutal and you’ll come back covered in dust. Common tour stops include the fish sauce factory, pearl farm, pepper farm and “coconut prison,” but most of these are little more than over-priced showrooms aimed at Asian package tourists. You don’t see anything but vendors at the pearl farm. The fish sauce factory tour, given only in Vietnamese, serves mostly to push sales of bottles. And a visit to the pepper farm offers no sights of farmers or any real insight into the crops, other than the packaged pepper at the gift shop. The “coconut prison,” or Nha Lao Cay Dua, is different. Until recently it still held prisoners, but now has been turned into a museum to the 4,000 communist “martyrs” held, tortured and killed into the barbaric gulag during the Vietnam War. Mannequins depict all sorts of atrocities committed against the Viet Cong imprisoned there before 1975 and a film (in English) tells the story of the dark hole set amidst the beauty of Ao Thoi. 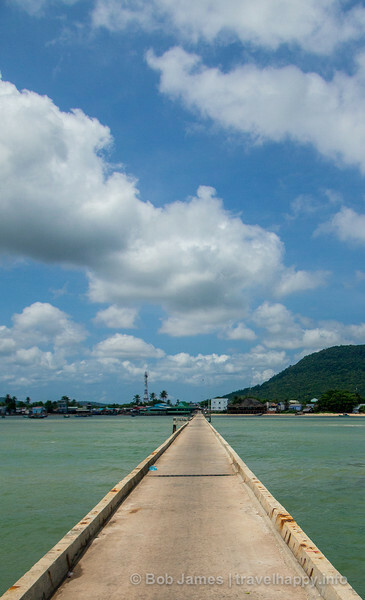 Also worth exploring is Ham Nimh, the island’s main fishing village with its narrow, 750 m. pier – beware the motorbikes! — and local seafood vendors. 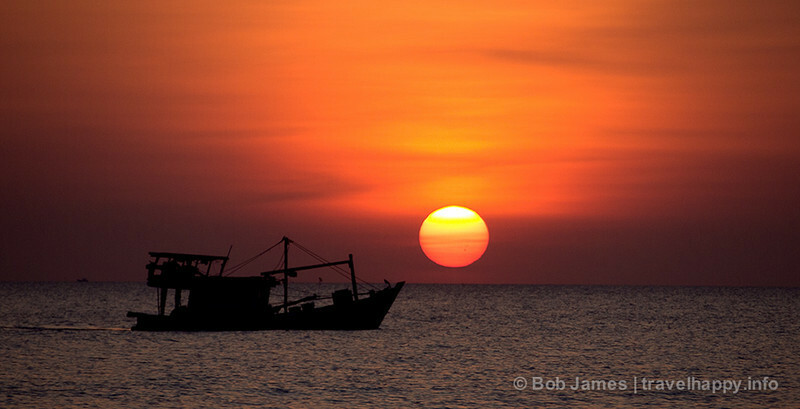 Phu Quoc is a must-visit for anyone traveling through southern Vietnam and Mekong Delta. 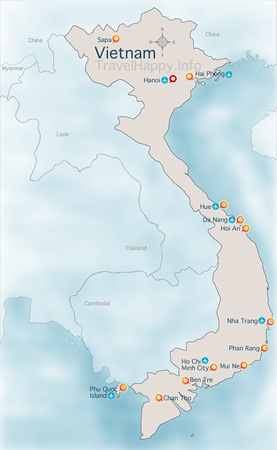 Arguably the best itinerary will have you fly 45 minutes from Ho Chi Minh City and then depart via the “Super Dong” hydrofoil ferry to Rach Gia. The boat, which holds 275 people and travels moves like a speedboat. Slower boats also depart for Ha Tien, but Rach Gia is a better jumping-off point for buses to Chau Doc or Can Tho, both about 6-7 hours away. Just beware the motorbike taxi drivers, who will point you toward private minibuses at 300% higher fares than the public bus.